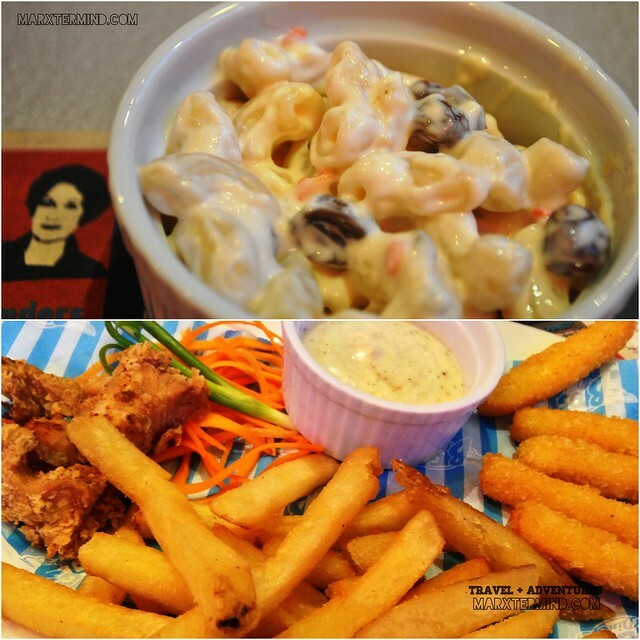 Never miss Bigg’s Diner when in Bicol. 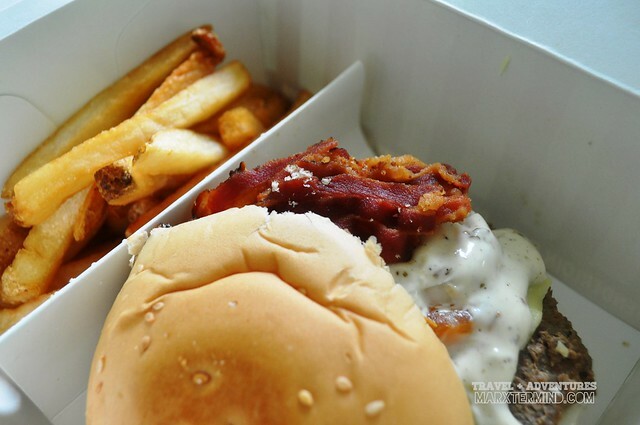 With several branches all over the region, there’s no excuse for you not to try the good food this fast food has to offer. 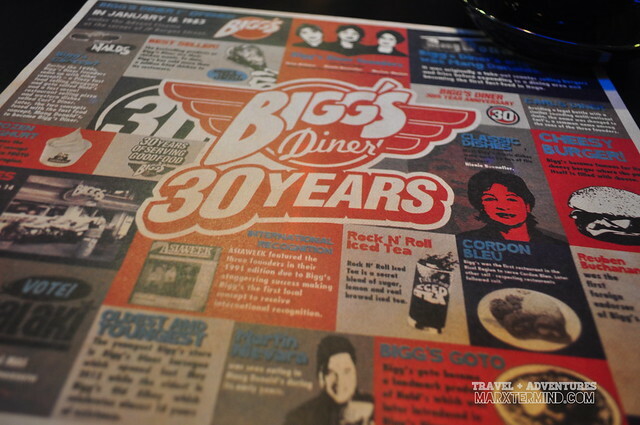 In celebration of its 30 years, Bigg’s Diner had invited some bloggers to try 30 plates of this fast food’s various meals and specialties as we tour some famous spots from the different provinces of the region in 3 days. Thank you to Chyng for tagging me along. I’ve been to Bicol numerous times already; I lived in the region with my grandparents for three years when I was still a kid. That’s why when it comes to favorite destination I’m biased; Bicol is always one of my favorites. 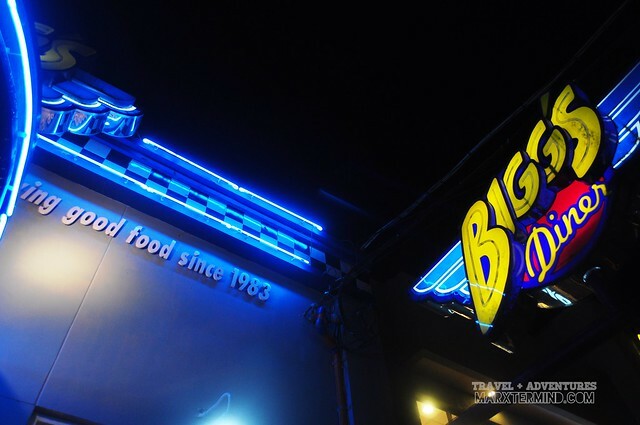 But my last Bicol tour which was organized by Bigg’s Diner was differently remarkable from all other visits that I had in Bicol; it was a plateful experience. It was around 5:00 AM when we reached Naga City. Upon setting our foot, we knew it’s going to be an amazing experience overflowing with good food. 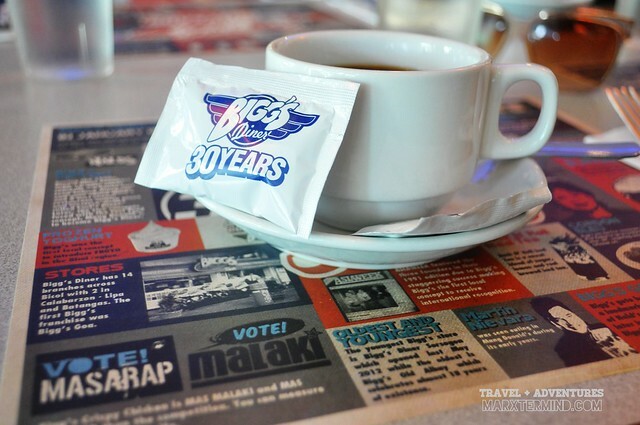 A van picked us up from the terminal, then brought us to Bigg’s Magsaysay for breakfast. A plate of tapsilog, a cup of hot chocolate, slice of Black Forest and Carrot Cake were served to each one to start off the day. After finishing our breakfast, we went to our hotel. Our rooms weren’t ready yet so we just fixed our things; and prepared ourselves for an all-day activity. Our morning were spent in Malabsay Falls and Panicuason Hot Spring. Extreme Supreme sandwich with fries, and Iced tea were delivered to us at Panicuason Hot Spring for our lunch. After relaxing ourselves in the hot spring, we then proceeded to our next destinations. We went back to our hotel past 3:00 PM. We were given an hour to rest before we indulge ourselves again to a plate of good food. At 4:00 PM, from hotel we went to Bigg’s SM Naga. 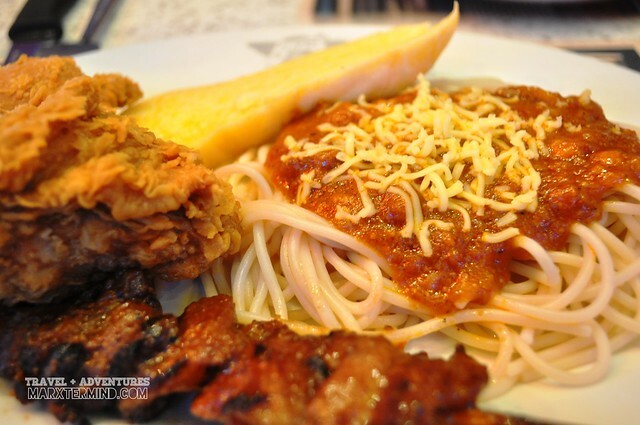 A snack containing meaty and flavorful Spaghetti with tender Barbecue and crispy Fried Chicken; together with chocolatey Rocky Road shake and an Extreme Platter of fried goodies were served to each one for a big snack experience at Bigg’s Diner. After finishing our snack, we went to All Flip Flops store in SM Naga City and claimed our free Havaianas flip flops. 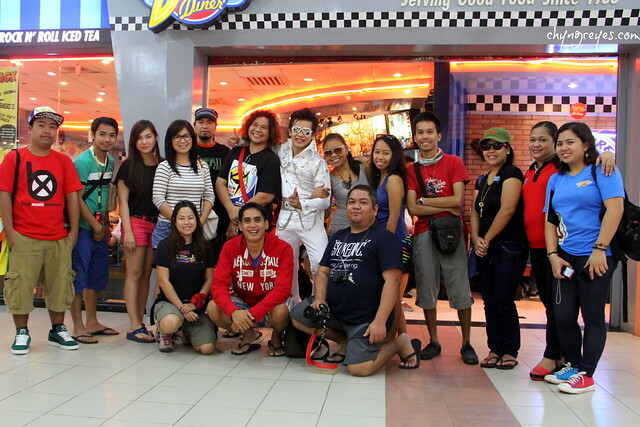 Then, we went to Bicol Business Week event that was happening in the mall. Afterwards, we were given a free time of an hour to roam around the mall. When all participating bloggers were gathered again, we then hopped into our perspective rides and went for a quick city tour. 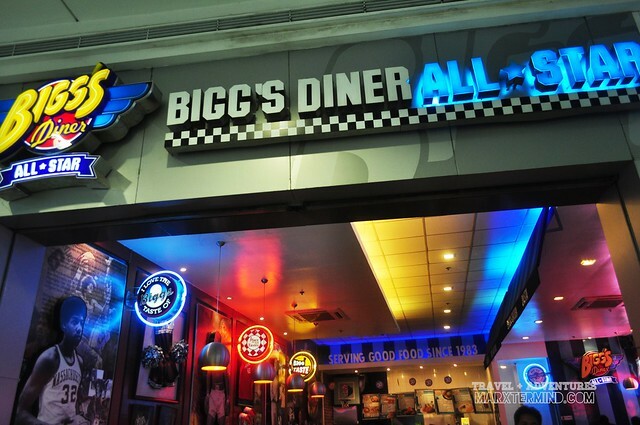 After visiting some famous historic landmarks in the city, we then went to Bigg’s Diner Centro for a satisfying dinner. We had the famous Baby Back Ribs plus a Macaroni Salad. 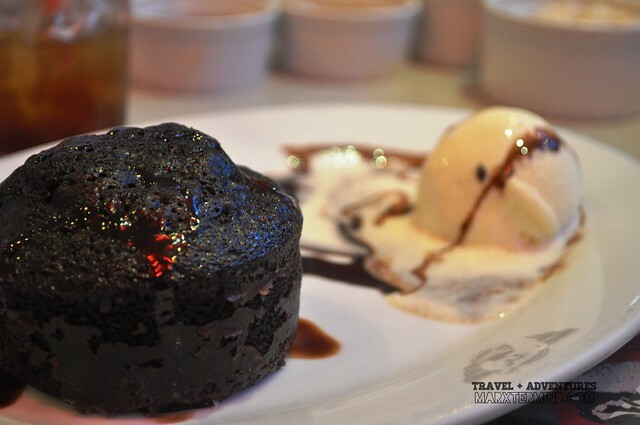 Our dinner was topped off with a heavenly dessert, Molten Lava Cake. 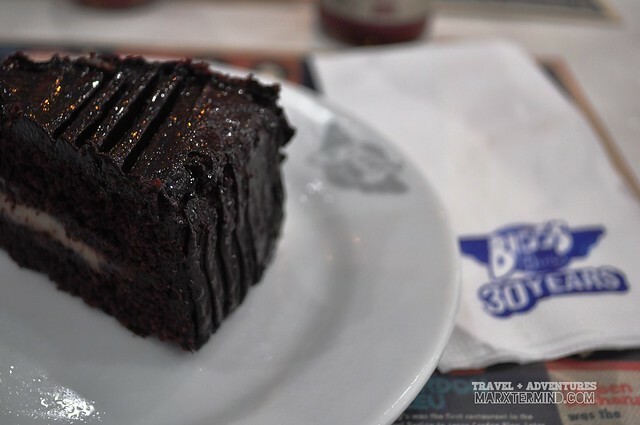 I always eat in Bigg’s Diner whenever I visit Bicol but it was that day that I was able to try their cakes. 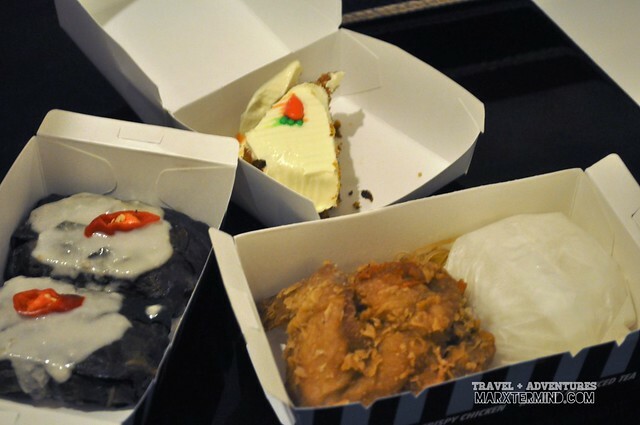 Although the restaurant isn’t specialized with cakes and alike, the desserts they offer are surprisingly good; even far better from the bakeshops here in Metro Manila. That’s just another reason for me to love Bigg’s Diner. 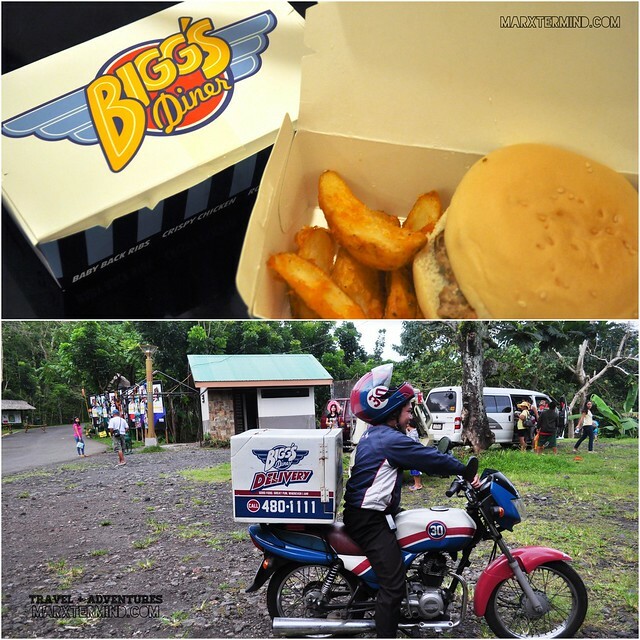 Our day 2 was packed with another good food from Bigg’s Diner; and visits to different famous spots in the region as we traveled the road to Legazpi City. We checked out from our hotel at 8:00 AM. From Naga City, we traversed the road to Pili where we’ll be having our first meal. 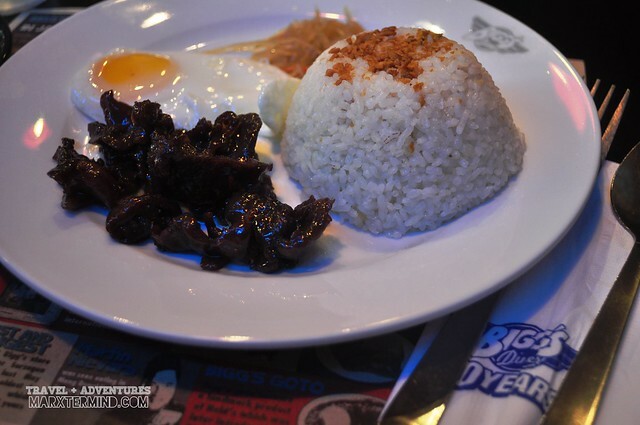 Bigg’s Diner Pili is the first Bigg’s Diner I’ve tried because it is the closest to my grandparents’ house. It’s a norm for most to start their day with hot coffee or chocolate. 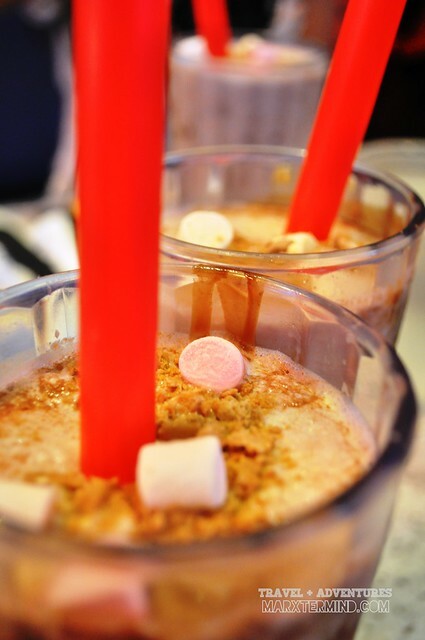 I got used to drinking a good hot chocolate from a famous fast food in Metro Manila but when I tasted Bigg’s Diner version of hot chocolate; everything changed for my taste bud – this is the one to beat. 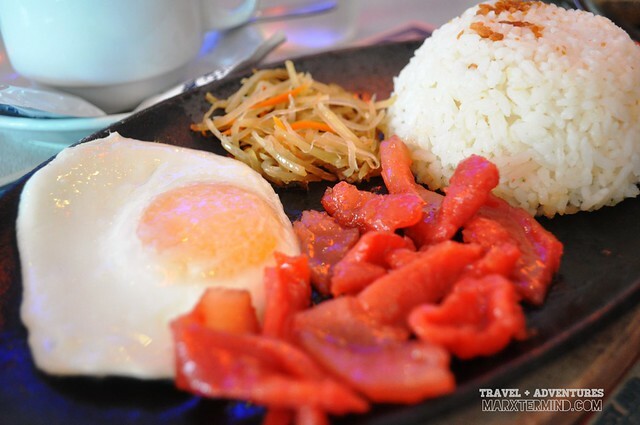 Along with brewed coffee or hot chocolate, a plate of tosilog for each one was served as breakfast. After some stops in between our road trip from Pili to Iriga, we had finally arrived in Iriga’s branch of Bigg’s Diner for our lunch. 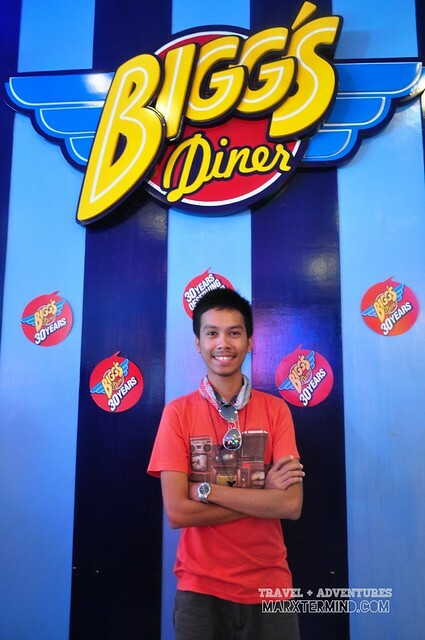 What I also liked about Bigg’s Diner is each branches are themed uniquely. The themes are based on sports, Hollywood, retro-vintage style; they all seem to be themed accordingly and based on its location. This fast food isn’t just about giving good food but good dining experience as well by decorating each stores uniquely and tastefully. 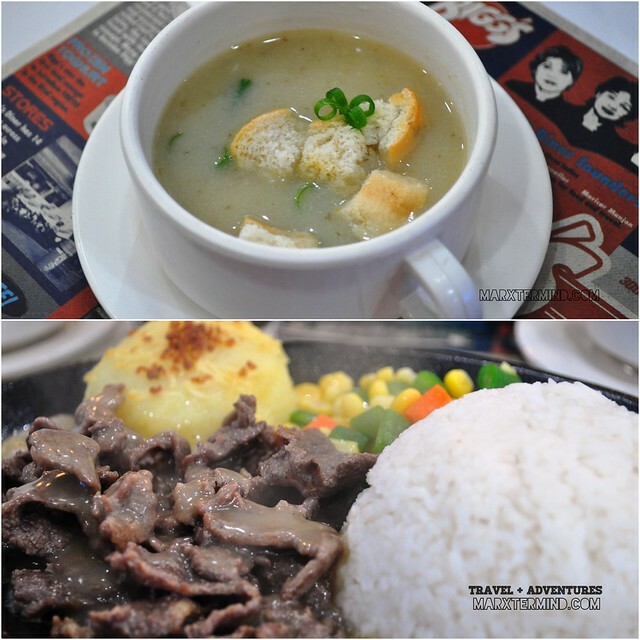 Traveling surely left us all hungry so as soon as our food was served, we quickly indulged into our plateful lunch which contains the tasty Tenderloin Tips with Baked Mashed Potatoes and partnered with Cauliflower Soup. It was all good but what really made us all left in awe was when we tasted the Kookie Monster Cake. The cake is monstrously delicious. After finishing our food, we then resumed our road trip, still with stops in between. Our last stop before we head to our hotel in Legazpi City was Ligñon Hill. For our snack, a Cheesy Patty Burger with Potato Wedges were delivered to us. We might get hungry after reaching the top of the hill. It was already dark when we checked in to our hotel. 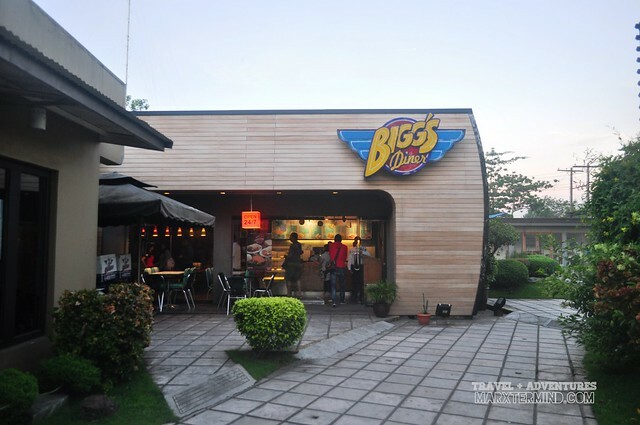 We were supposed to have our dinner at Bigg’s Diner Embarcadero but the group had just decided to have our food delivered into our rooms so we can also rest early. For dinner, we had Fried Chicken with Crab and Corn Soup; we also had Bicol specialties, Laing and Pinangat. 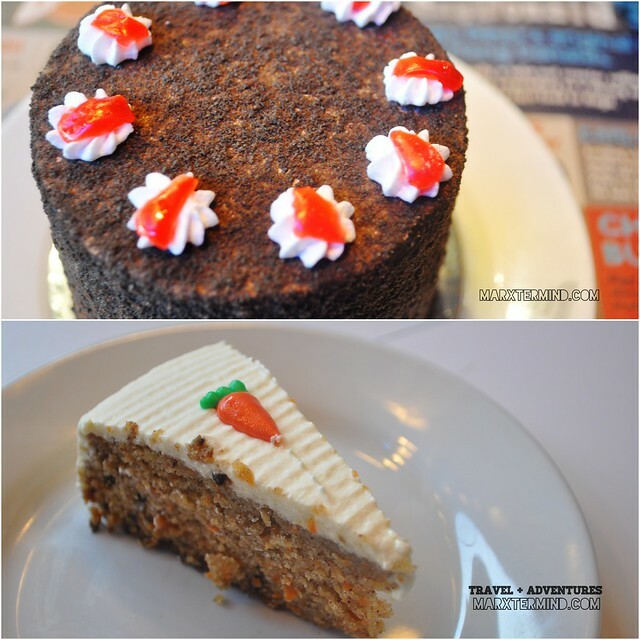 For dessert, we had Carrot Cake. 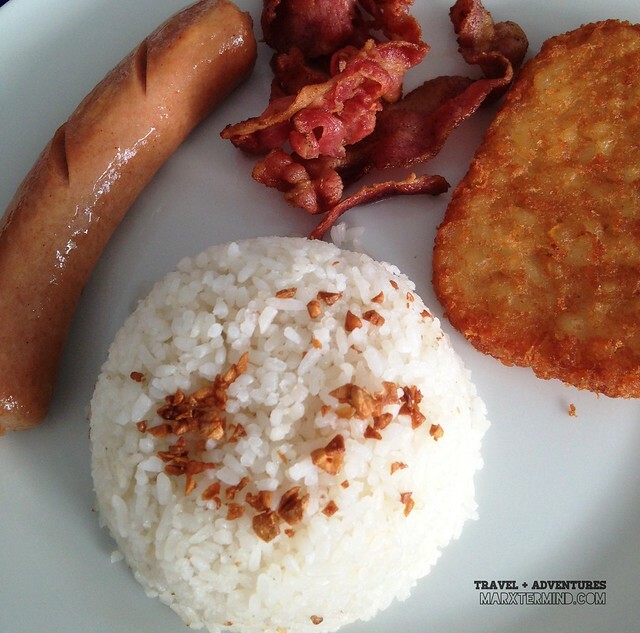 To start our third day right and healthy, a plate of Bigg’s Diner Breakfast containing Hash Brown, Bacon and Franks was served to each one of us. The group was on a schedule to a trip to Hoyop-Hoyopan Cave after breakfast but some of us had decided not to join the trip for that matter as we would like to rest. It was me and Chyng’s last day with the group. We had asked the organizers prior to the tour that we have to leave early because of work and some important stuff to attend in Metro Manila the next day; and they had agreed. 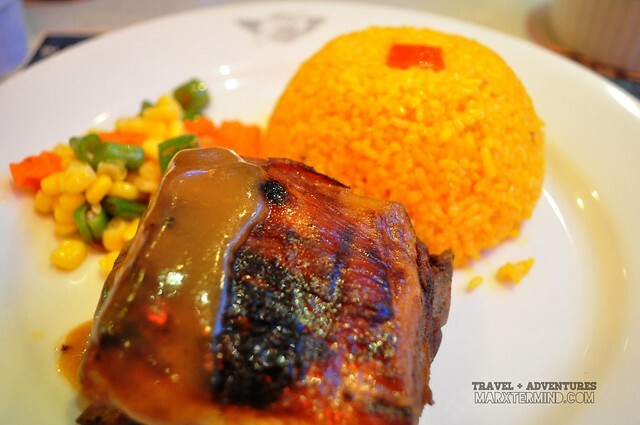 At 10:00 AM, we left our hotel with our bags and headed to Bigg’s Diner Pacific Mall for an early lunch. 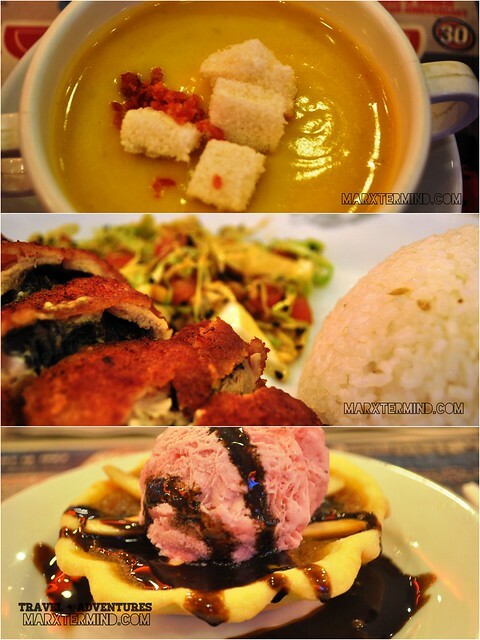 We had Chicken Cordon Bleu, Pumpkin Soup and Pili Pie. It was such a great experience touring some of the famous places in Bicol with the nicest travel bloggers and friendliest Bigg’s Diner’s staff. 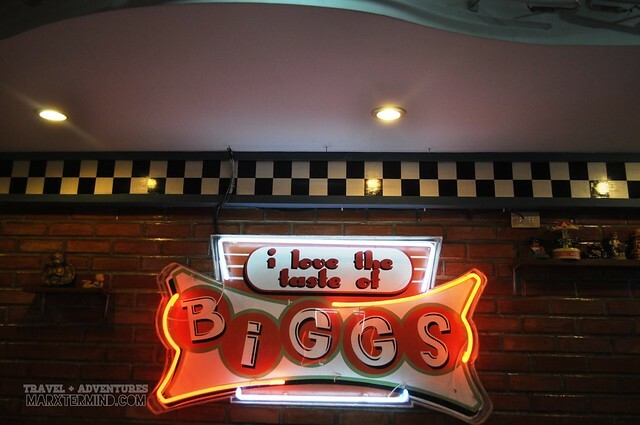 Thank you Bigg’s Diner for letting us experience a differently good Bicol tour. 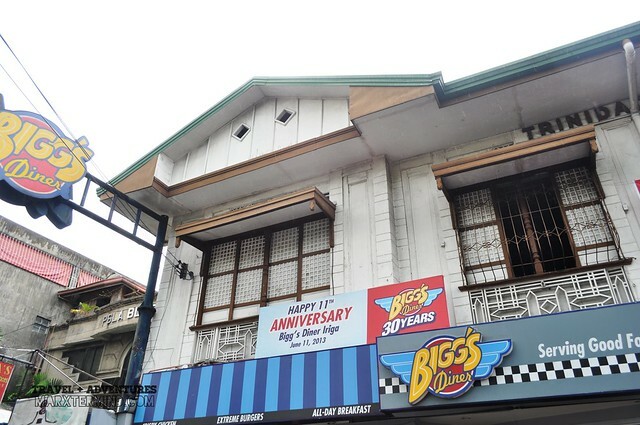 We are all looking forward to more years of success, surprises and good food of Bigg’s Diner.